The Margaret Okari Orphanage in Kisii Kenya services 230 children and a total of 1200 villagers. Women and kids walked 3 km every day to drink this water. When times were good they had 2 burros to help carry the Jerry cans. Take a good hard look. This is the water people drank. Disease was rampant. Kids lost two hours of the day that could have been spent in school. 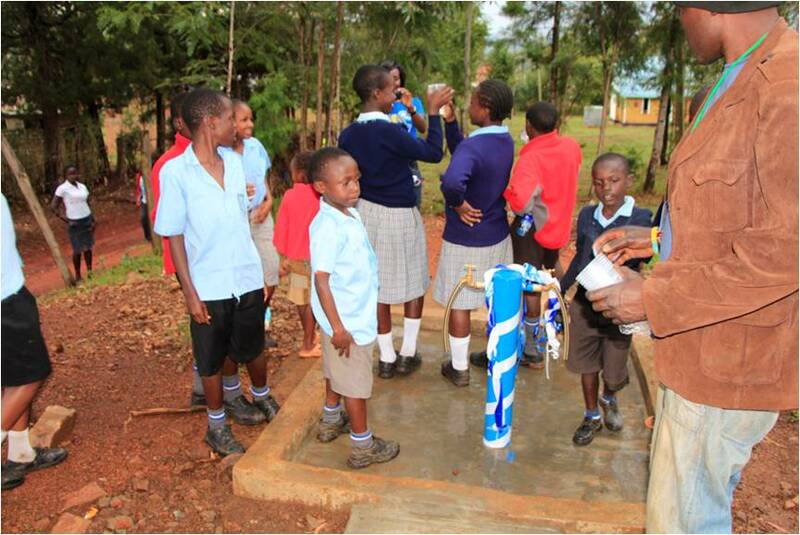 Between 2014 and 2018, the Rotary Club of Andover raised $90,000 and hired Water Mission international to oversee construction of a new water system. This is what a better life looks like. No longer do children have to walk two miles to fetch polluted water. With clean water on their property they now have more time to be in school and they have an 80% lower probability of being sick. This is how communities grow and prosper. Click here to learn more about the H2Okari project. Click here to learn more about Rotary International's clean water initiatives.